Bert Weckhuysen, Katinka Wondergem and Anne-Eva Nieuwelink feature in the first episode of ‘Captains of Chemistry’; a podcast by BNR. In this series, reporter Edwin Mooibroek explores the subjects of chemistry and innovation and tries to answer the question: How can the chemical sector contribute to a better, sustainable world? In this first episode, Katinka Wondergem explains how catalysts can be used to make plastic from tree bark and, ultimately, even of sunlight, water and CO2. Anne-Eva Nieuwelink explains how she has developed a cleaner way to make polyglycerol, a hydrating substance that is often used in day and night creams. Bert Weckhuysen gives a glimpse into his research and tells how he educates young researchers in developing sustainable chemical processes. The series are in Dutch only. 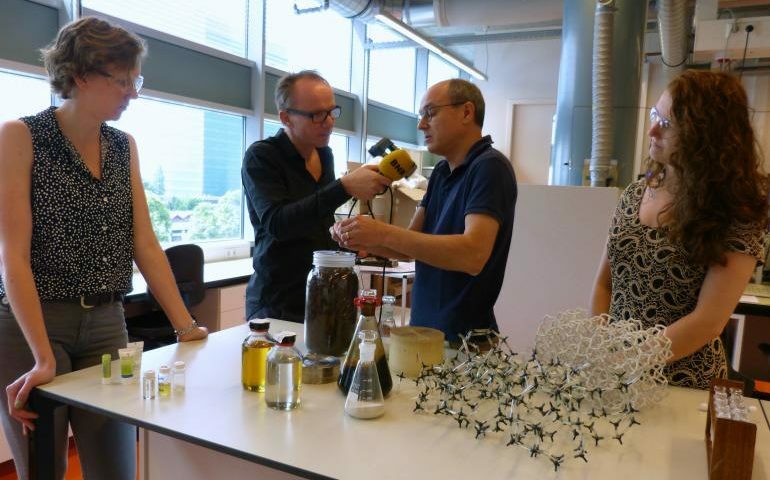 You can listen to this episode online here (where you can also subscribe to the series), or read the news item (Dutch) on the news page of Utrecht University.